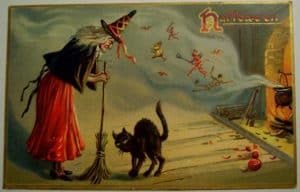 We all know that Hallowe’en, as a festival, is not an invention of the trick-or-treating Americans but it is far older than many people realise. 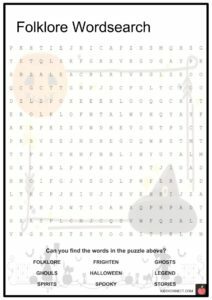 We all know that Halloween, as a festival, is not an invention of the trick-or-treating Americans but it is far older than many people realise. Its origin can be seen in the ancient festival of Samhain, a celebration which marked the end of summer and the beginning of winter. The festival celebrated a successful harvest but, more importantly, marked the time when cattle were led back from their summer pastures and preparations for a safe and secure winter were begun. But it did mark a definite end to the summer growing season and so was a time for celebration. 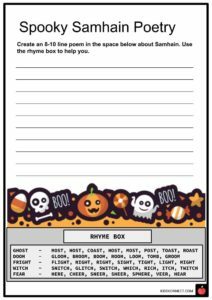 The word Samhain is derived from the Gaelic word for November – sunset of the last day of October was the beginning of the celebration, which would last till sunset the next day. 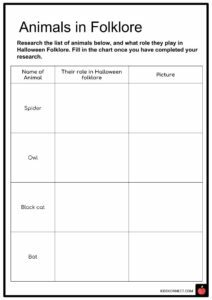 See the fact file below for more information on the Halloween Folklore or alternatively, you can download our 18-page Halloween Folklore worksheet pack to utilise within the classroom or home environment. Samhain was the largest festival observed, as it marked the end of the harvest season in the Celtic calendar. Traditionally, Samhain is celebrated from sunset on October 31 to November 1, which is about halfway between the autumn equinox and the summer solstice. It also indicated a time when livestock were slaughtered to prepare for the winter. There were also many special, spiritual bonfires that were said to have protective and cleansing powers. Samhain was also considered a time when the line between this world and the “Otherworld” could more easily be crossed; the souls of the dead were also thought to revisit their homes, seeking hospitality. In addition, people would go door-to-door in disguise and exchange verses for food. Games involving nuts and apples were also a part of Samhain tradition. 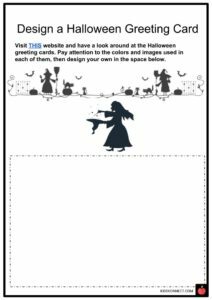 It was believed that the best time to perform a divination ritual was on All Saints Day, which was the Christian feast day assigned to November 1st. The day honored every Christian saint, particularly those who did not have a special day devoted to them; it was also supposed to be a substitute for Samhain (which they hoped would be replaced). All Saints Day continued ancient Celtic traditions, although the old beliefs associated with Samhain were too powerful to die out. It is said that ghostly spirits would run free, along with witches, fairies, and goblins during All Saints Day. Another belief was that during All Hallows Eve, if you wanted to know who you would marry, you were to throw hemp seed over your shoulder and the first man you turn around and see will be your husband. Apples were another popular item, as they were used in the game “bobbing for apples”, where each apple was named for a certain person, and people dove in to seize a good apple. This was also the night to forecast death and misfortune; after all, this was the time when people needed to think about survival during the upcoming cold season! Lady Sybil lived at Bernshaw Tower and was adored by Lord William Towneley. Lady Sybil enjoyed spending time with animals and flowers, and didn’t pay too much attention to the Lord’s attention. She always longed to have supernatural powers. One day, the Devil appeared to her and offered her great powers in exchange for her soul – she signed the deal with her own blood. 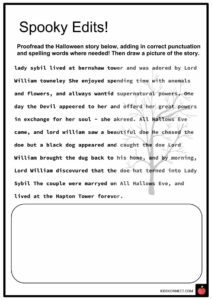 Lord William caught wind of this and went to see a witch named Mother Helston, but she assured him that everything would be fine, and that he would marry Lady Sybil on All Hallows Eve. All Hallows Eve came, and Lord William was out hunting and came across a beautiful doe. He chased the doe, but a black dog appeared and caught the doe by the neck without hurting her. Lord William brought the dog back to his home that night, as there was a terrible storm brewing throughout the night. By morning, Lord William discovered that the doe had turned into Lady Sybil. The couple were married and lived at the Hapton Tower forever. Some versions of the story go on to say that Lady Sybil continued to use her magical powers for mischief. One day, she turned herself into a white car who had her paw cut off – the next day, a servant was seen carrying a lady’s land, but Lady Sybil’s hand was completely fine – except for the red mark that remained around her wrist for ever after! Some legends say that you can hear Lord Williams’s mad chase after the doe; it is said that if you see him or hear him, you will soon meet death or experience great misfortune in your life. 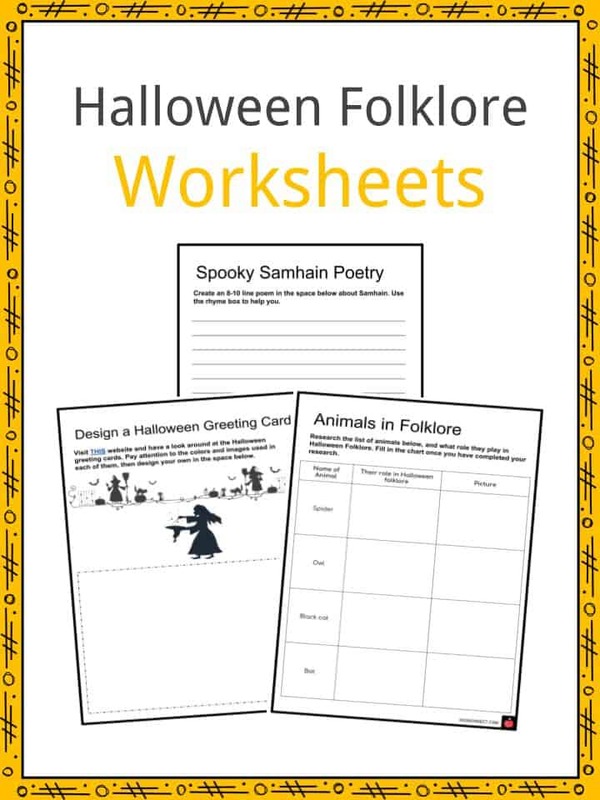 This is a fantastic bundle which includes everything you need to know about Halloween Folklore across 18 in-depth pages. 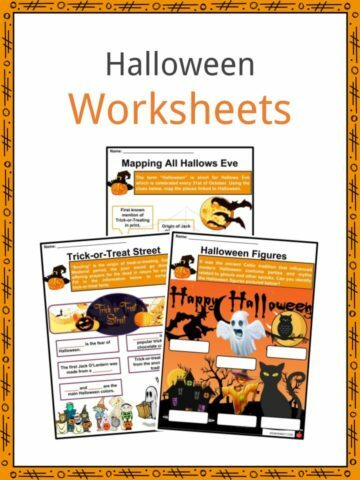 These are ready-to-use Halloween Folklore worksheets that are perfect for teaching students about the Halloween Folklore.